Deputy Prime Minister and Plenipotentiary Presidential Envoy to the Far Eastern Federal District Yury Trutnev commented on plans for socioeconomic development in the Arctic region on the sidelines of The Arctic: Territory of Dialogue International Arctic Forum. The Ministry for the Development of the Russian Far East, Rosatom and the Ministry of Transport have been instructed to expedite the work on an economic development model for the Northern Sea Route to be completed in two or three months, Trutnev said, adding that traffic safety was of key importance. "We should plan navigation safety measures, complete with modern safe havens, emergency and rescue means, quality navigational guidance systems, and medical facilities placed along the route," he told the State Commission for the Development of the Arctic. He noted that NSR transit would only work if special conditions were created for the carriers. "We have repeatedly discussed icebreaker support costs. We must make concrete decisions in this regard as well. It is only with this work done that we can hope for transit and for freight carriage resulting from our own investment projects," he stressed. According to Trutnev, a draft law supporting investment projects in the Arctic is expected to be submitted to the State Duma before July 1. "We proceed from the assumption that we will create a system to support each investment project the way we do today in the Russian Far East. Before July 1, we must bring in a bill to the Duma envisaging special measures to support investment in the Arctic," he pointed out. Like in the Russian Far East, support is only intended for newly implemented investment projects worth upwards of 5 million rubles. "It will be extended to incipient projects. The minimal price tag of a project is five million rubles because we want all types of businesses, including the smallest ones, to take off the ground," he specified. Various patterns of preferences are being developed for Arctic investment projects. At the moment, there are two options. The first one implies a 0% rate of corporate income tax, mineral production tax, property tax and land tax for 10 years for projects worth up to 100 billion rubles and 15 years for projects worth upwards of 100 billion rubles, with 7.6% (instead of 30%) premium rate imposed for the same length of time. The second option envisages a reduction of income tax from 20% to 7% for a project's duration, a favorable 0.3 ratio for mineral production tax, 7.6% insurance contributions, and a 0% rate for corporate property tax and land tax. The State Commission for the Development of the Arctic is inclined to accept the option implying tax cuts and imposition of taxes for a project's implementation period. 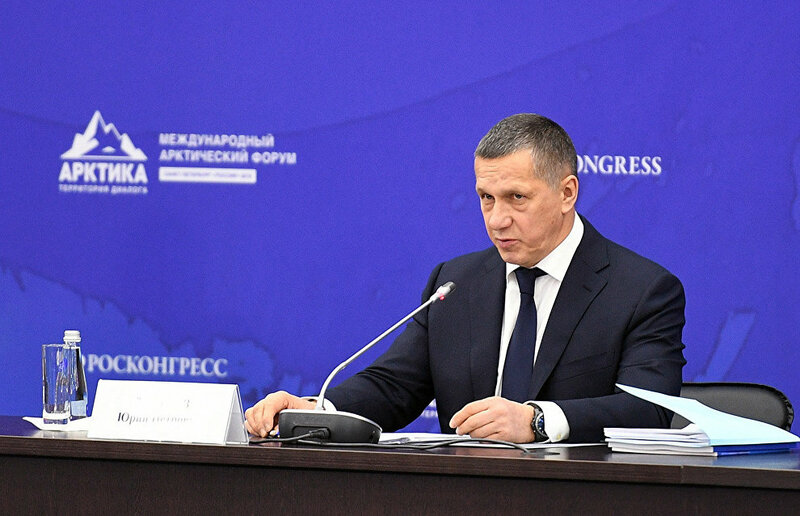 "Not just the economy, but people's life as well"
According to Trutnev, developing the Arctic is not only about the economy but also about better standards of living. "We can't discuss Arctic development keeping in mind the NSR or investment projects alone. It is of fundamental importance to develop the region itself and improve living standards. It must be said that the state of affairs in the social sphere in Russia's Arctic zone is much worse than the average in the Russian Federation as a whole," he said with reference to life expectancy, death rates, living conditions, specifically a high proportion of dilapidated and dangerous housing, low residential construction rates, and road density. "President Putin has instructed us to bring the social development indicators in the Arctic to the same level as on average in the rest of Russia. For this, we should attune national and federal projects to this task. This is an assignment for each ministry," he said.